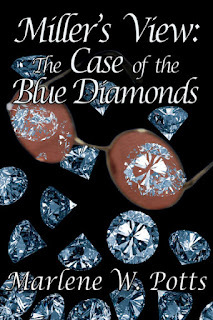 Miller's View: The Case of the Blue Diamonds, the third volume in the Miller’s View series, finds Detective Jonathan Miller working to strengthen his link to a mysterious Priestess and the rose-tinted glasses that assist him in his work, and embarking on the next chapter of his life with his sweetheart Callie. But Miller soon realizes the stakes are about to be raised, and the price could cost him the love of his life. Though he’s thrilled that Callie’s accepted his proposal, Miller’s happiness is tempered by the new case he’s been working on. After illegal blue diamonds are discovered concealed in the back of priceless artwork destined for clients overseas, Miller begins to uncover a dangerous crime syndicate and some surprising accomplices in Hammond. As Miller gets closer to digging up long-buried secrets—Callie is kidnapped, and their future is threatened when her fears over what marriage to him will mean cause her to reconsider their relationship. When an officer and his girlfriend are murdered, and Miller learns the criminal organization has one of their own executed to hide the truth, he realizes he’s not the only one with a priestess at his disposal—and becomes more determined than ever to win Callie back and close the investigation. Marlene W. Potts worked in both public and private schools as well as with the federal government, but she’s first and foremost a wife, mother of three girls, and grandmother to one active toddler. Next to her family, her writing is her greatest passion. Born and raised in Washington, DC, Potts spent eleven years homeschooling her daughters and other children. 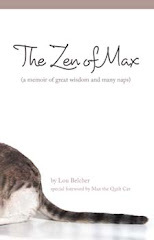 She is now a full-time caregiver, author of three novellas, and is working to develop her skills as a screenwriter. Potts currently lives in Palm Bay, Florida.